13 March – My first book out! 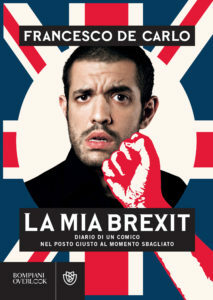 On March 13th in Italy will be published “La mia Brexit” (My own Brexit), my first book. It is the diary of an Italian comedian who decides to leave Italy and move to the UK, in the same moment as the UK decides to leave Europe. The publisher is Bompiani and the book is in Italian. Check it out anyway!